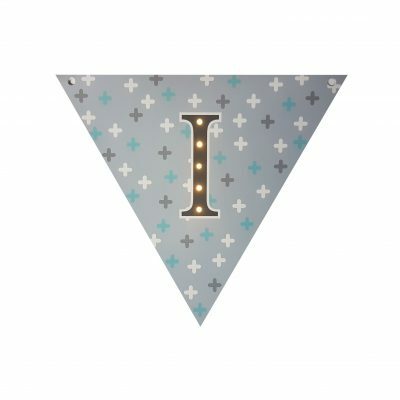 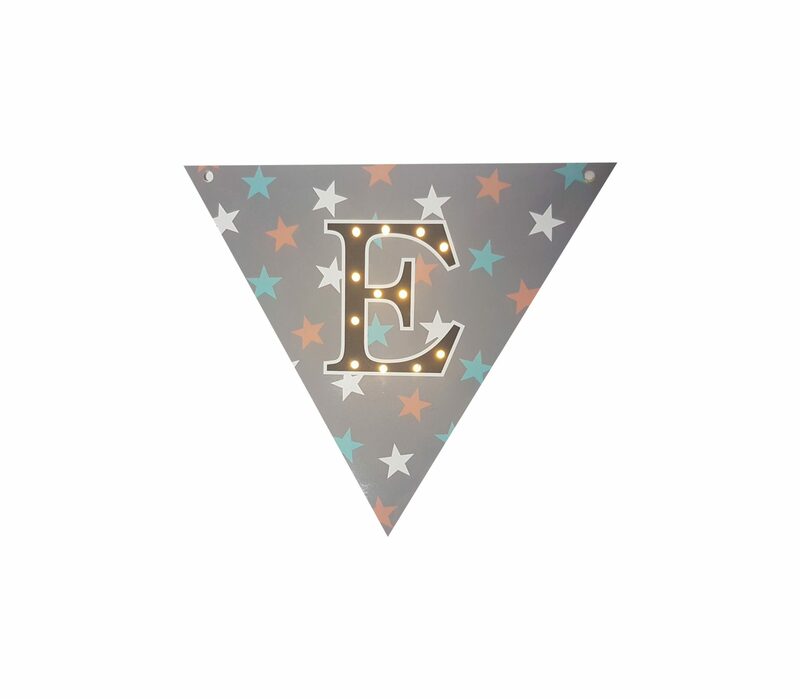 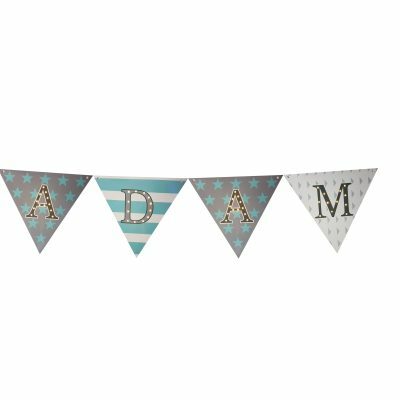 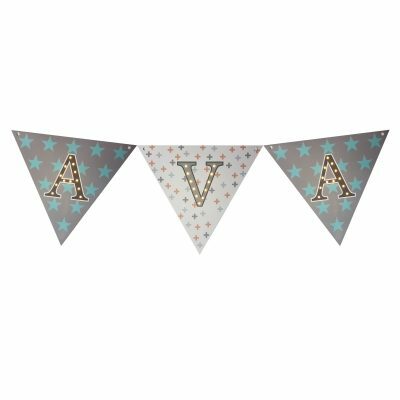 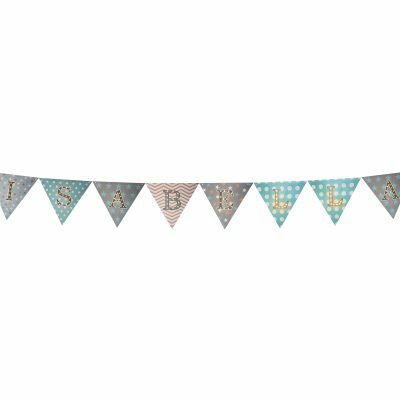 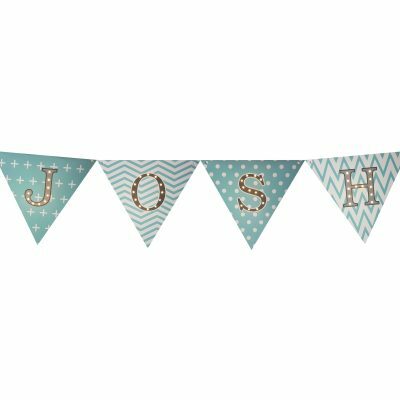 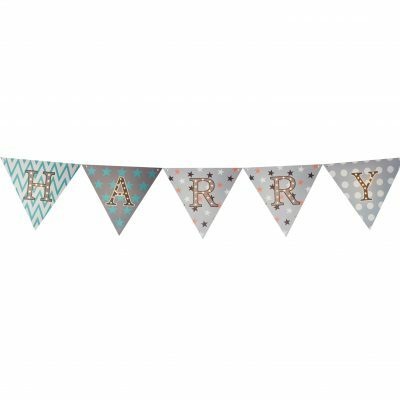 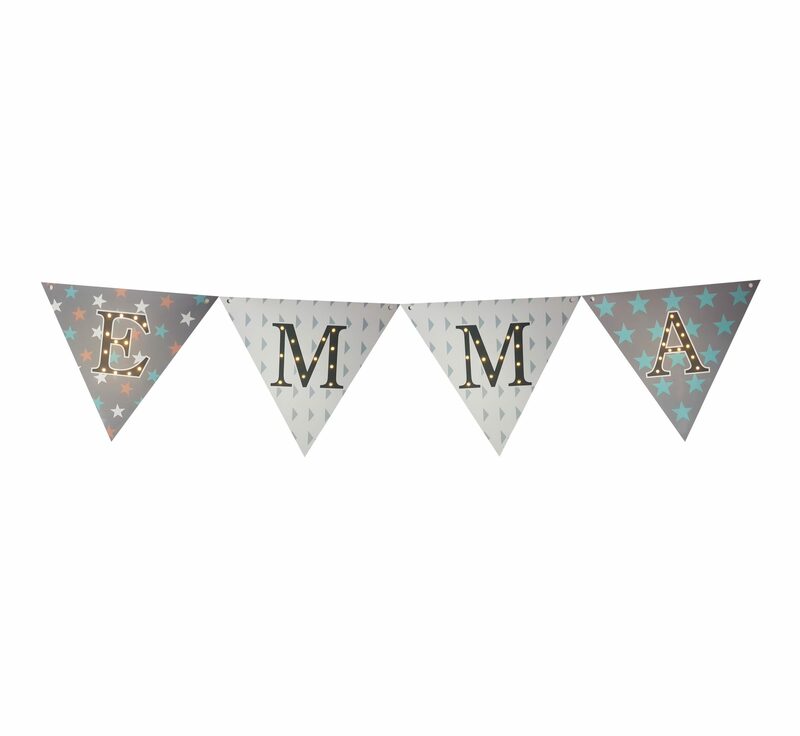 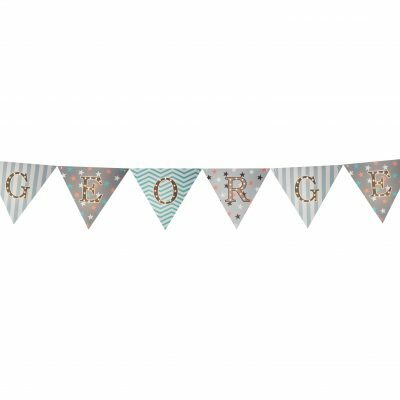 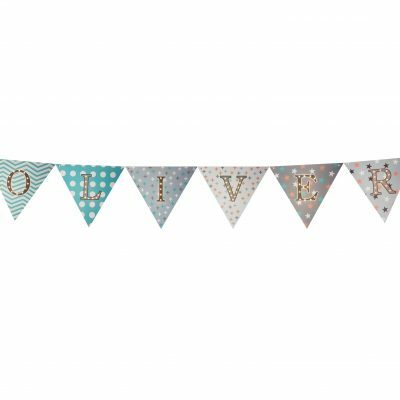 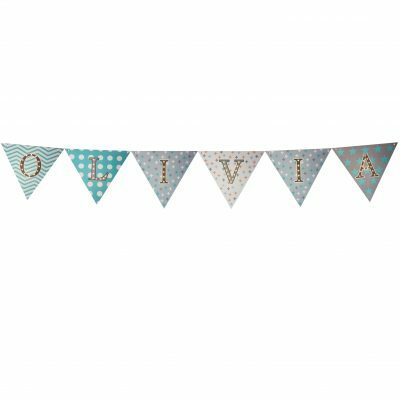 Your child’s name in lights with this fantastic LED bunting. 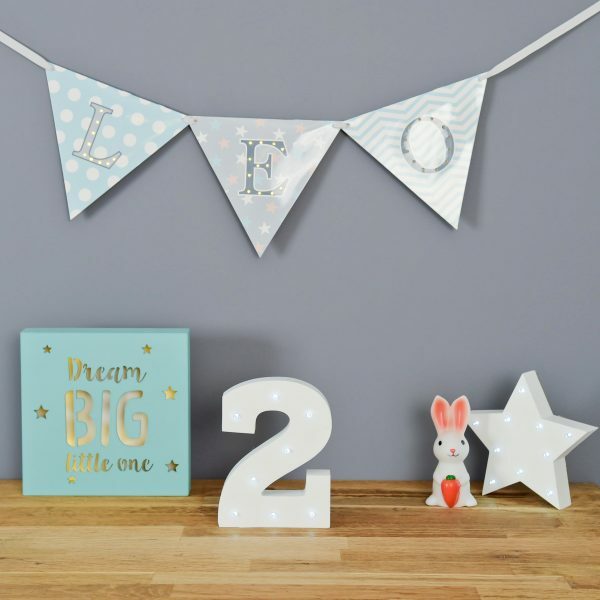 Each has 3 settings; on continuous, slow flash and fast flash. 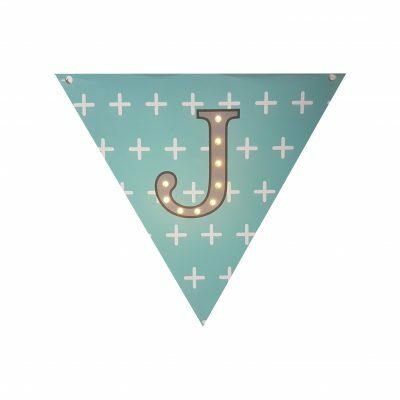 Battery life is 120 hours of continuous use. Turn it on and off to conserve the battery. 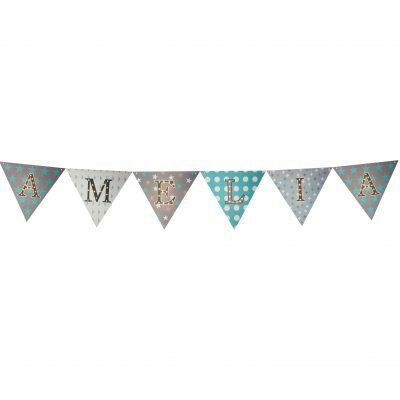 Each flag is 20cm width x 17.2cm height.